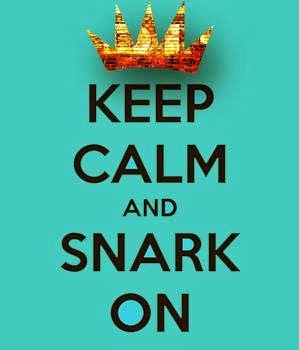 Keep Calm & Snark On : Exciting news!!! I'm not sure (until now) that I've believed the adage that when one door closes another opens. I was sure sad to learn this week that Spike and Peggy had decided to call it a day with Drunken Stampers. I've had soooooo much fun on that design team and have met some truly awesome, crazy and wickedly funny stamping sisters along the way. I want to send out lottsa love and thanks to Spike and Peggy for making Drunken Stampers such an amazing design team experience. 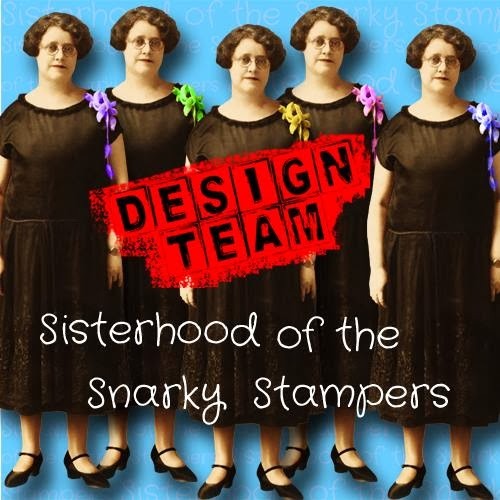 Some of us weren't quite ready to pack in the crafty love and have decided to carry on under a new banner...we give you the Sisterhood of the Snarky Stampers (SoSS for short). Love, Love, Love it. Kudos to Lee. Great announcement. 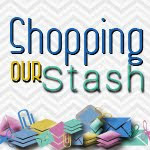 Thanks, Donna, for all of your work setting the SoSS blog up! Lee too, her graphics are awesome! It's fun to be in on something from the beginning! And you have done an awesome job getting us going, Donna. Sistahs!